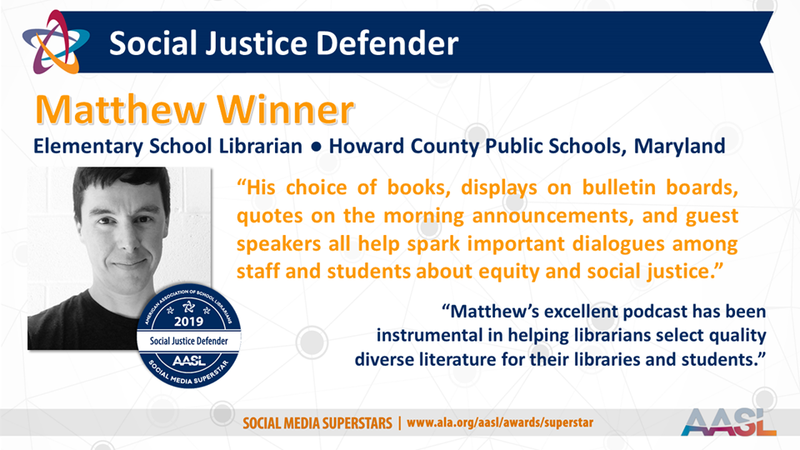 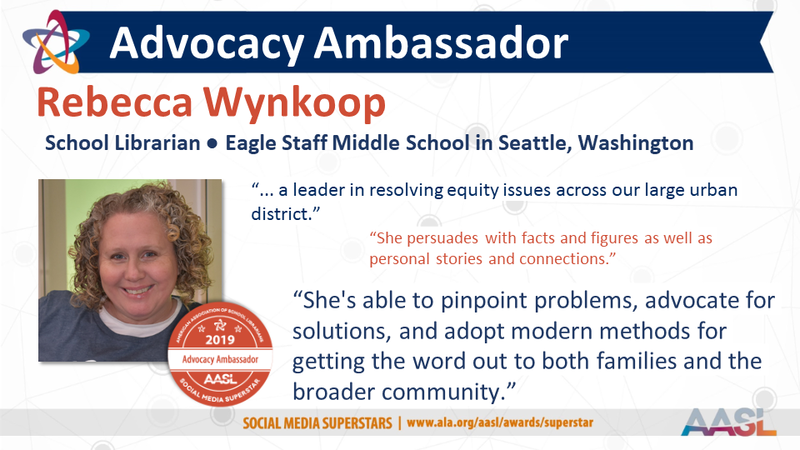 Home › News › Association News › Your 2019 AASL Social Media Superstars! 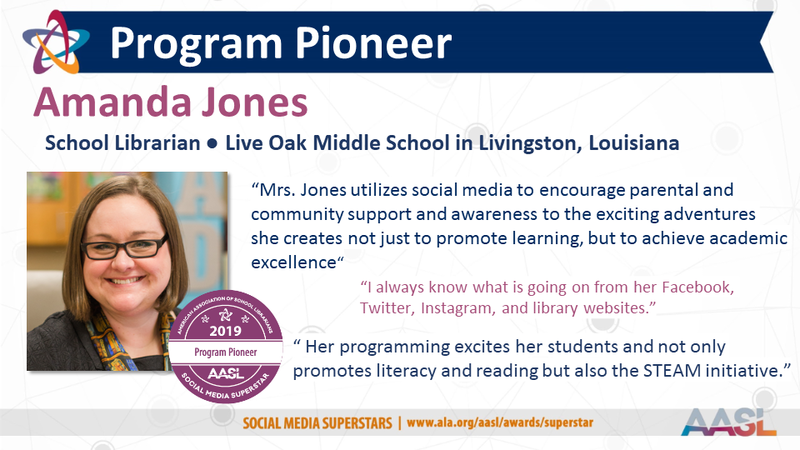 Your 2019 AASL Social Media Superstars! 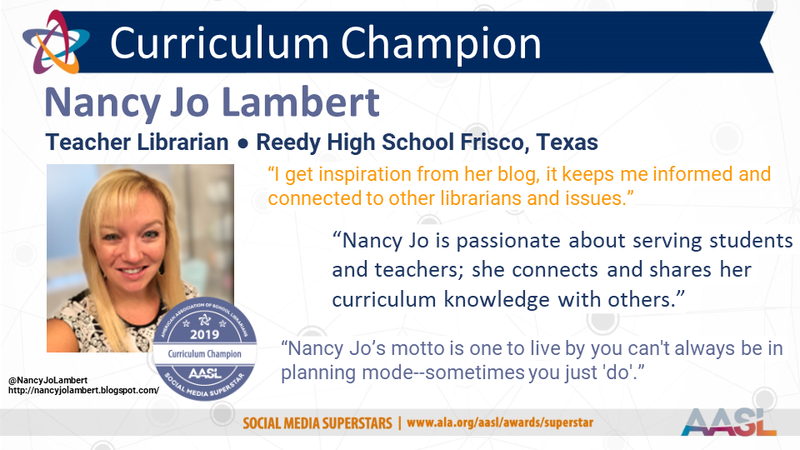 AASL Social Media Superstars honors school library professionals who enrich the profession and its work on behalf of students by sharing information, expertise, ideas, encouragement, dialog and inspiration widely via a variety of social media channels. 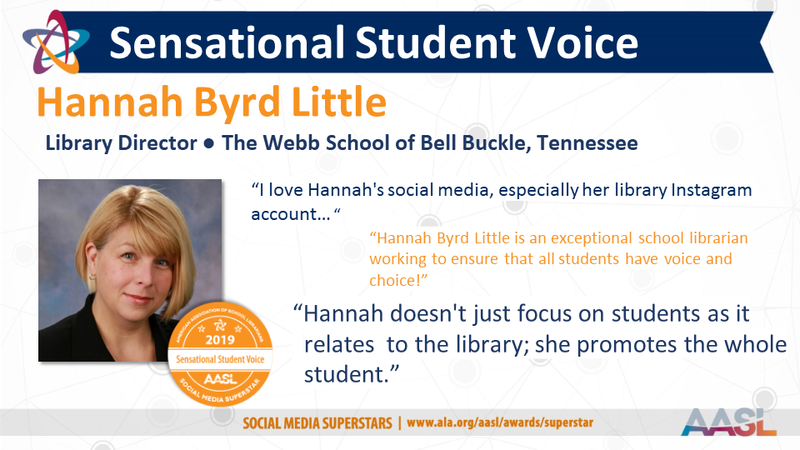 After reviewing all of the endorsements left by peers and the original nominations, the Social Media Recognition Committee is proud to announce the following 2019 Social Media Superstars! 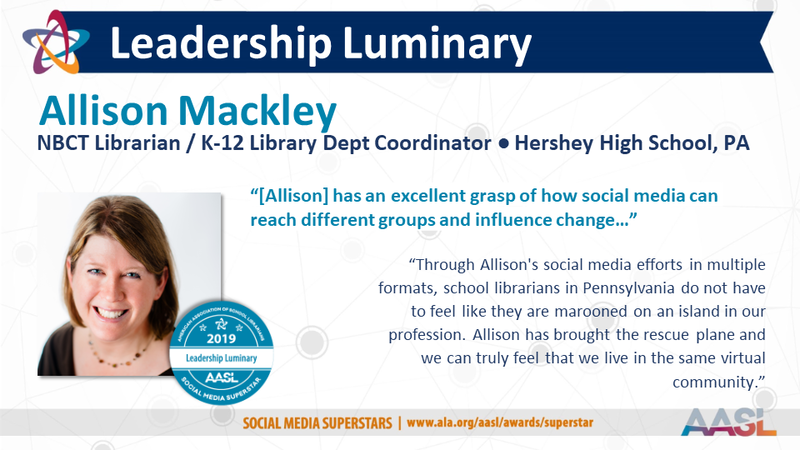 The Committee thanks all who participated by submitting a nomination or leaving an endorsement. 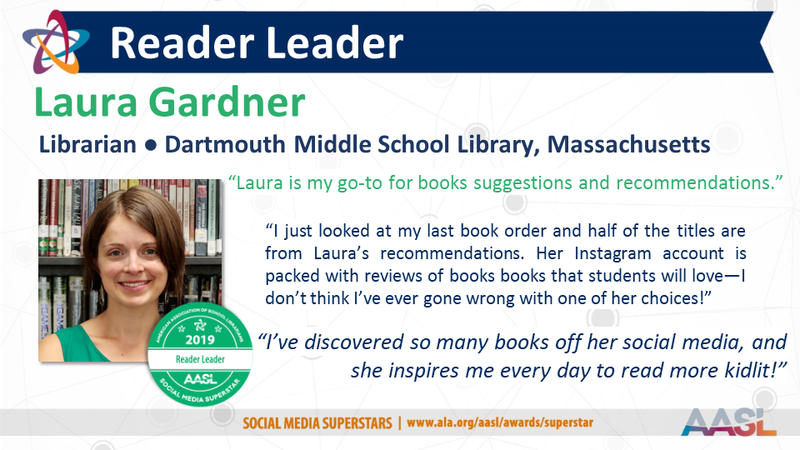 All the nominees were outstanding and all were seriously considered for recognition. 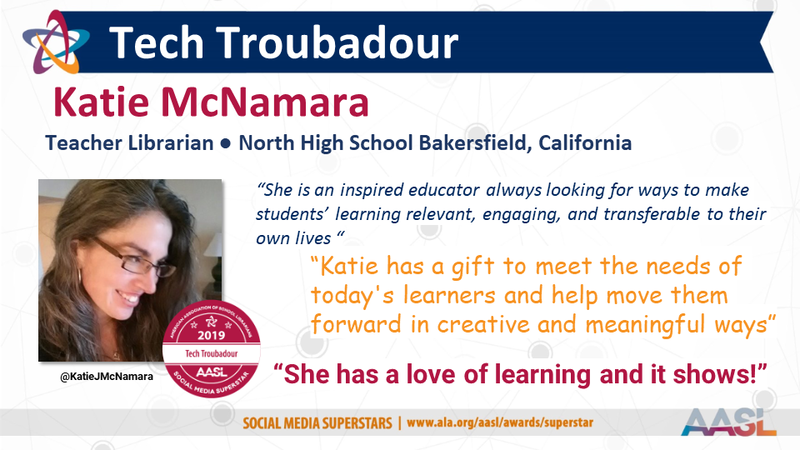 Let our finalists inspire you today!